Fun Experiments That Teach the Value of STEM Subjects! 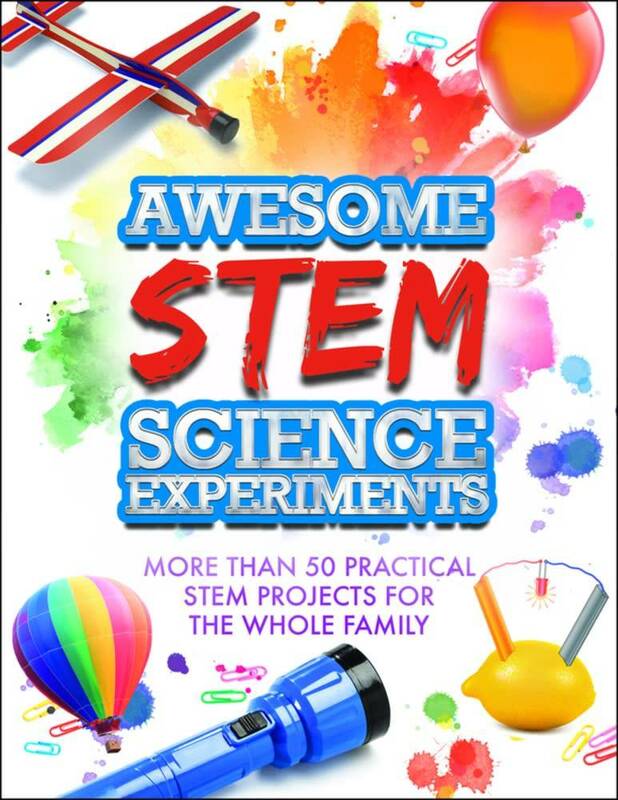 This dynamic, fun-packed book includes more than 50 exciting experiments for kids to learn and grow their knowledge in science, technology, engineering, and math. Each experiment is accompanied by clear instructions and step-by-step photography. The experiments span topics such as light, sound, heat, plants, electricity, magnetism, and other concepts that play an important role in understanding our world. Make a volcano using everyday household materials. Learn about jet propulsion or how to make a lemon battery. Discover the science behind echoes and how sound reverberates off surfaces. Grow seeds into plants before your eyes by learning about the proper amounts of water, warm, and sunlight. All of these amazing activities can be found within the pages of this entertaining book. Awesome STEM Science Experiments will keep budding young scientists entertained for hours!